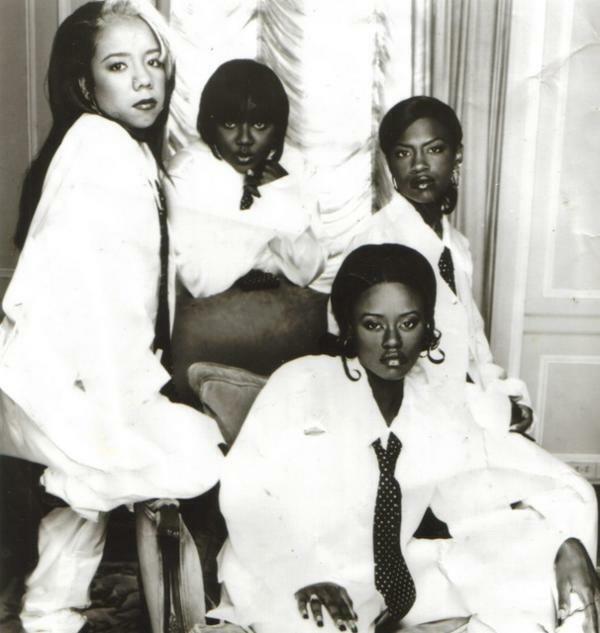 Did TVOne's UnSung Featuring Xscape Really Tell The Story Or Did The Truth Escape?? Did TVOne’s UnSung Featuring Xscape Really Tell The Story Or Did The Truth Escape?? 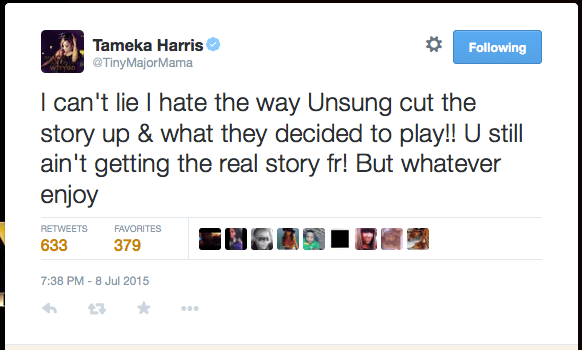 EarHustle411 came across a tweet by former member of Xscape Tameka “Tiny” (Cottle) Harris and it seems she was not to pleases with the finished product of TVOne’s Unsung featuring Xscape. At the time of this tweet EarHustle411 had not had an opportunity to check out the program but when we watched the repeat OMGEE…lookout!! For this group of extremely talented young ladies to have gone through the turmoil they went through, some would say well that’s the industry. It destroys people’s lives. Well…we beg to differ, the industry will only do to an artist what they will allow. We are not bashing the UnSung program, and they probably recorded on an insane amount of tape and unfortunately there is only so much room to place in an hour-long program, however it would not be uncommon to have crucial parts edited out of the finished product. From what we know of the group’s “history” together, we had not realized that they went through so much inner junk. Each member had their ugly part in te demise of the group and it’s so unfortunate that the ladies could not work out their differences and come together to make great music. Tiny made it very clear through her tweet she was not pleased with how the finished product was done. So she took to twitter to share her discord for the show. Even Kandi (Burrus) Tucker agreed and took her disdain for the show to twitter as well basically agreeing with Tiny. EarHustle411 believes in sisterhood and it’s disappointing that it got as bad as it did to the point where they can’t even see themselves in the same room together. The ladies were not equipped to handle the internal conflict effectively without interference or someone thinking an “agenda” was being fulfilled. One thing we believe that all entertainers particularly musical groups of 2 or more need to understand is conflict resolution and how to handle the business through it. As much as people would like to have groups be like a “real” family, it does not always work that way.